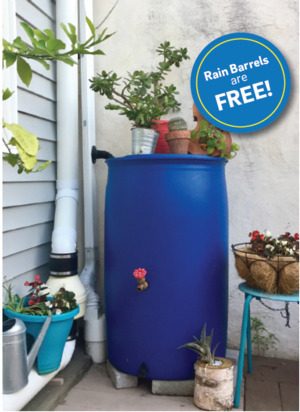 Mon, February 4, 2019 6:30 P.M.
Do you want a free Rain Barrel? You can get one by attending this workshop. Rain Check workshop helps residents pay for special landscaping tools that improve the environment and beautify their homes. Homeowners can help protect Philadelphia’s creeks and rivers while beautifying their properties. Installing green storm water infrastructure tools like downspout planters, rain gardens, permeable pavers and rain barrels reduce pollution that would otherwise end up in our local waterways.